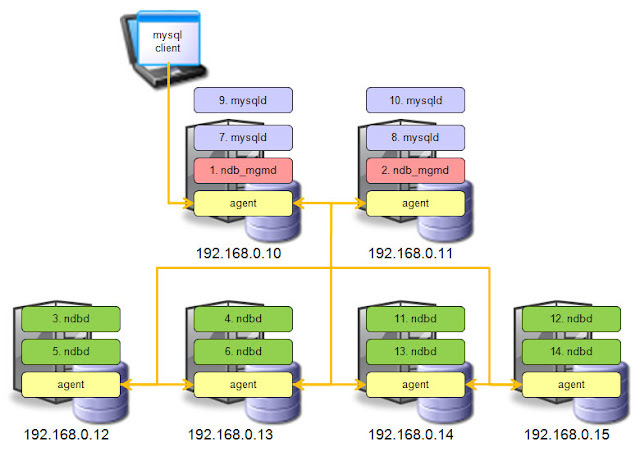 This guide describes the step-by-step procedure on setting up a test MySQL Cluster using the MySQL Cluster Management Console (MCM). At this point, we are done with the rest of the Cluster Node instances, all of the steps from this point forward can be done at the first or second server instances (the management servers). We are now ready to create our first cluster. 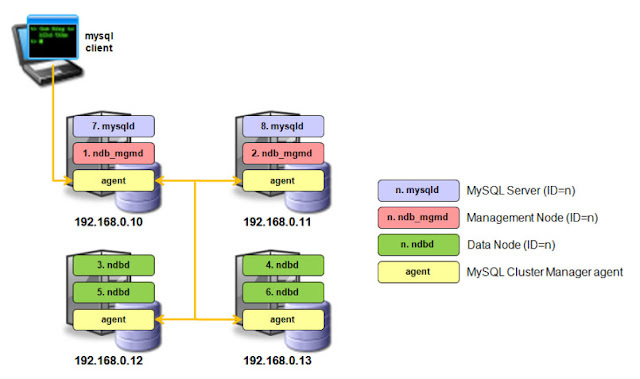 The main steps are: create a site, add a package, create a cluster and finally start the cluster. # Finally, add it to the cluster. Credits to Andrew Morgan for the write-up and images. This entry was posted on October 4, 2009 at 12:14 pm, and is filed under mysql . Follow any responses to this post through RSS. You can leave a response, or trackback from your own site. My devs asked to say thank you! They used some of your tips while we were switching our job to secure virtual data room . Waiting for some your new posts!